Wow... how did June zoom by so fast? 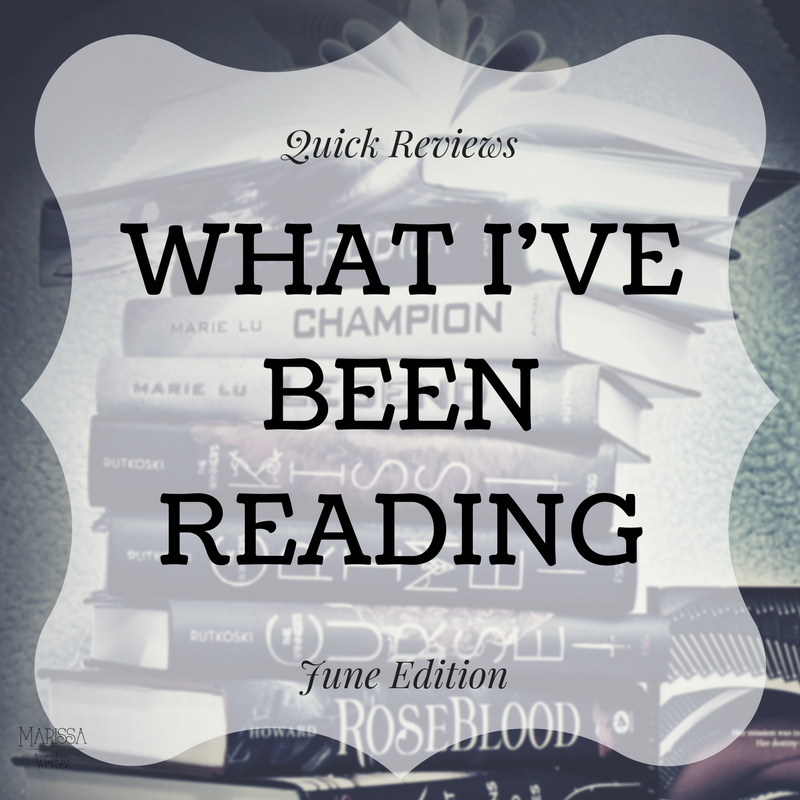 Did you get to read any new books this month? With summer in full swing, and my life full of activities and summer fun and changing schedules, I'm not getting through as many books as I was... which is why I'm so glad I have found a way to make audio books work for me.... Have you all started using Audible? There are many apps in local libraries that have audio books available for free... since Audible is expensive! 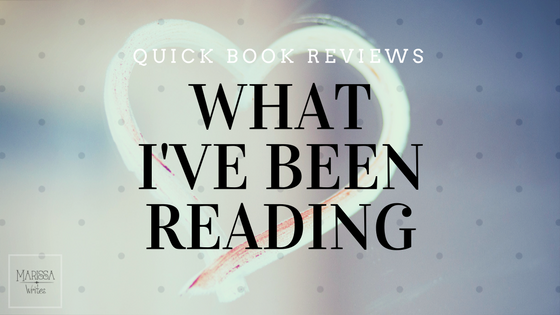 Anyway, here are some quick reviews on some of the books I've read recently... check them out, and then let me know what you've been reading! Even better was that the huntsman in this story was so different and complex and interesting... but in case you haven't read it I won't say why... if you did read it... let me know and we can gush over it! If you haven't bought this book... well stop reading and go order it! Clearly, this is a Beauty and the Beast reimagining, and nothing at all like the Disney cartoon... if you know the original fairy tale though you will see so much in this book. It also pulls in some Russian folklore - which I don't really know much about, but it worked! Honestly though, if you are a fairy tale fan, you need to own this book. It is that good. For more on this one, check out top reads. Alright, so Queen of Shadows follow Aelin as she begins her quest to become Queen... I know right... you would never have guessed! Alright, so again the best part of this book, and all SJM books are the characters... they are so complex and deep. I love it, and while there are great characters, there is a ton of action so it keeps the pages turning. I am a big fan of Aedion... Aelin's warrior cousin is loyal in a way so many are not. He is driven by that loyalty, and yet he cares, he truly wants the best for his kingdom and his friends, which at times makes his priorities clash... love it! But mostly, the evil that is taking over Dorian's castle... talk about dark and horrible. I ached after reading his chapters, and yet I wanted more, always more, because I needed to know what was happening! There is so much more in this book, but I don't want to spoil it... if you are in the mood to gush over any part of it, let me know! Leave a comment or find me on Instagram and we can gush and gush. 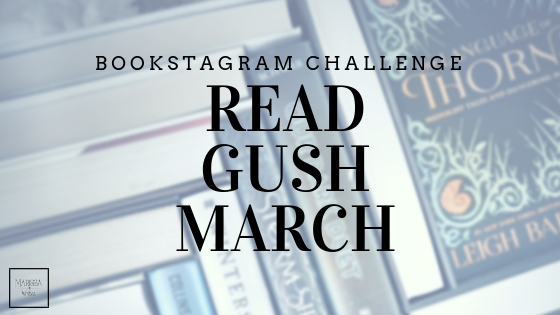 After chapter 8 I still didn't know who any of the characters were, and I was just getting more and more confused... luckily a gracious bookstagram friend gave me a character breakdown list, which helped immensely... and the story started to finally make a little sense. In the end, I can't say much about this book because the narrating was so distracting... so I would say pick up the actual book in this case, because those I know who have read it really loved it, and I'm not so impressed... but I'm giving it four stars because I'm intrigued and will pick up the sequel in book form. Mostly I appreciate the fact that this is a retelling A Thousand and One Nights - and I am always up for a good retelling... so in that case, this book lived up to my hopes and expectations... I just hope there is more character development for Khalid in the next book... and that I find some time to get to it since these have been out for quite a while now... I know don't hate me! 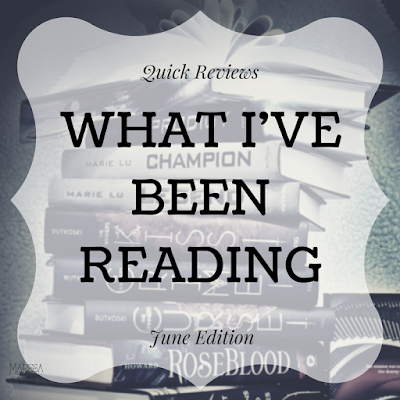 To see my full review, stop by the blog! There was something about this cover that grabbed my attention before it was even released... and then I couldn't seem to get my hands on a copy! So after finding out that multiple audio books I wanted were on hold, I figured I'd try this one, as there was no wait. I still wasn't sure what it was about. Noemi's whole life has been built on the need to help secure her planets safety for as long as possible as the threats surrounding them were numerous... she was also raised in a religious family, although she doesn't know what she believes in... which is interesting and ends up driving her actions over and over, as she tries to find out what her beliefs are, and how she should act, morally. I love a good read. I would start with The Shawdow Queen. I don't have as much time for reading since my daughter was born. I miss it! 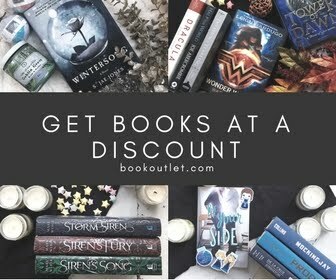 Yes each time a new little bundle of joy joined our family my reading habits changed... so yes, try The Shadow Queen - it's a good stand alone story, that is engaging, yet a quick read... Also think about trying audiobooks... it helped me! Hunted definitely sounds interesting! I've been a Beauty and the Beast fan for my whole life and I love interesting new takes on the story. I read as many Beauty and the Beast retellings as I can, and this is my favorite so far! These books sound great! I love hearing what other people read. I'm currently reading the Magnolia Story & highly recommend it! I'll be sure to check it out Sarah! Thanks for stopping by! wow I am impressed you have been reading so much! I am trying to read more.. I mean actual books not on my damn phone! I get that! I always remind myself that I'd rather my kids find me with a book than with some electronic screen in front of me... it's helps. And audio books are my new best friends. Hi Marissa. 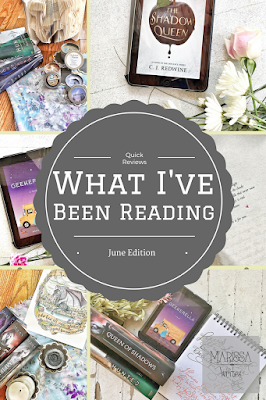 Did you write all these books in one month? There are lots of them. Thank you for taking the time to write reviews on them, I usually like to read some reviews before deciding to start reading a book. I'm currently reading short stories from different authors because I'm going through a course about writing short stories. Hi Teodora - I usually read somewhere between 6-9 books a months... and I read a bunch of compilation books of short stories while I was in school and taking writing courses too. And now the novella is making it's mark in popular fiction, so that's also great! And I agree, I want some honest reviews before I pick up a book most of the time, which is why I highly recommend Goodreads to book readers, because the reviews there are so much more in depth and honest than Amazon. Wow, hard to believe you can find the time to read and review all these books in one month. I don't read young adult books, but if I did I'm sure these reviews would be helpful.